Come Join Us Behind the Desk! Do you want to earn some extra money in between your exciting classes and volunteer work? 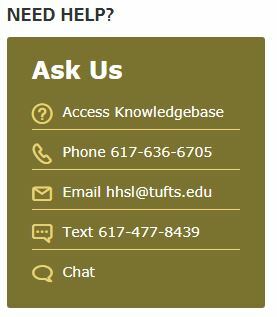 Have you seen your classmates behind the Library Service Desk on the 4th floor of Sackler and thought that looked like a pretty good set up? 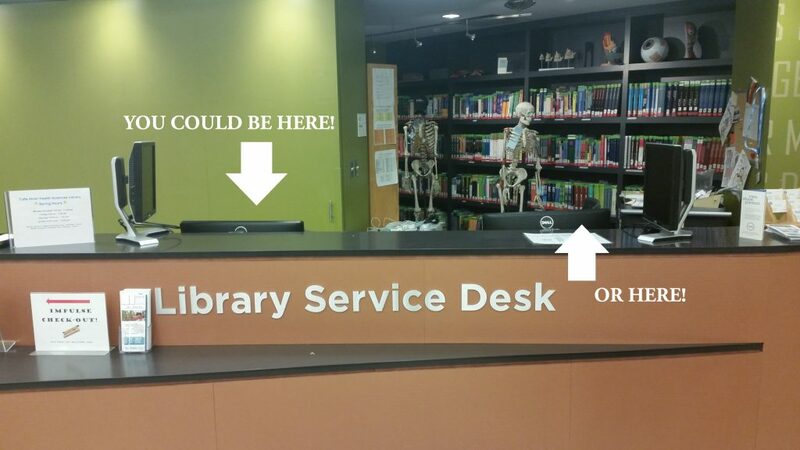 Do you just think we have an awesome desk and want to get paid to sit behind it (and help out your fellow classmates)? 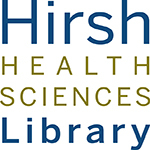 The Hirsh Health Sciences Library hires graduate students from this very campus to staff the Service Desk, in particular in the evenings and on the weekends. It is a part time job, with all necessary training done on-shift. There is no specific hiring period, but rather occasional hirings depending on staffing needs and school schedules. Students from all programs on campus are welcome! If you’re interested in applying, you have two easy options: 1) Swing by the desk in some free time and fill out an application in person (advantage: you can ask us any questions you may have about the job), or 2) head here and fill out the online application (advantage: you don’t need to wear pants to fill it out). We hope we get a chance to work with you in the coming months!